A Buckley classic. 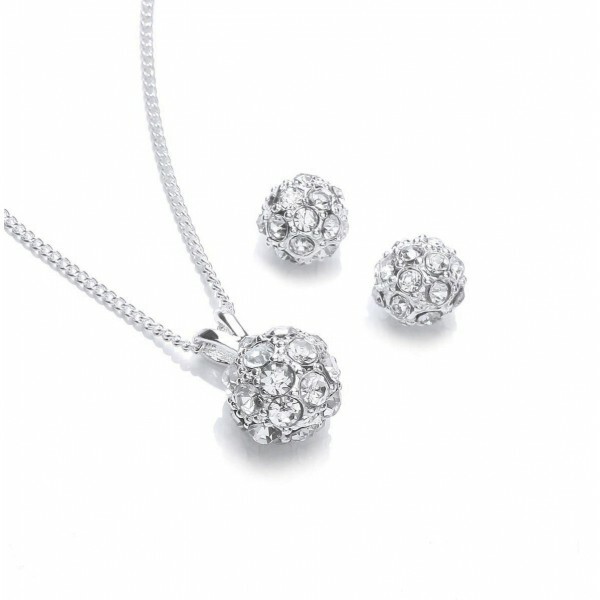 This pendant and earring set is hand set with clear Austrian crystals in a 925 sterling silver setting. Pendant measures 10mm and is suspended on a fine curb chain 41cm plus 5cm extender. Earrings measure 8mm and feature a posy and butterfly fastening suitable for pierced ears only.